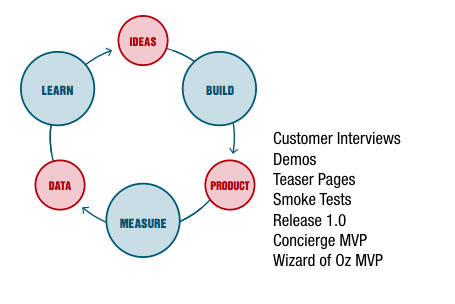 The prime directive of an MVP is first and foremost racing to deliver on customer value. Furthermore, there is no business in your business model without revenue which also tends to be one of the riskier parts of the business model. This is why whenever your users are also your customers, I am a strong advocate of capturing back some of that value which is just a fancy way of saying “charge from day one and get paid”. how you convert this derivative asset to actual revenue with your customers. We've visited companies where some teams are launching landing pages, while other teams are building working prototypes. And both are labeled as MVPs. In order to meaningfully talk about a MVP, it is critical to standardize on a definition -- at least across your own company. While many of the artifacts above are really (good) tactics for testing interest in a product though the use of a faster proxy for the product like a teaser page or demo, they aren’t a product by themselves and so fail the MVP test. 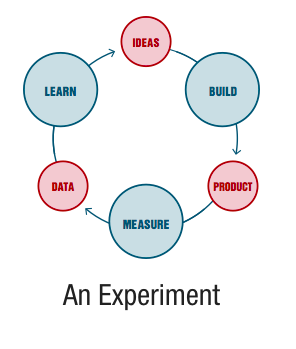 A cycle around the build/measure/learn loop is an experiment. It starts with a set of assumptions/hypotheses that you test which meets the textbook definition of an experiment. 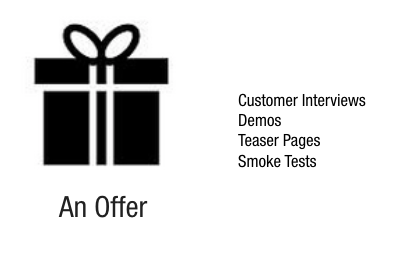 An offer is used to test interest for your solution before building it and should come before your MVP. Solution interviews, teaser landing pages, smoke tests, and crowd-funding pages are all examples of offer types you can use at this stage. You use your offer both to test for customer pull and to refine your initial product specification (or minimum viable product). 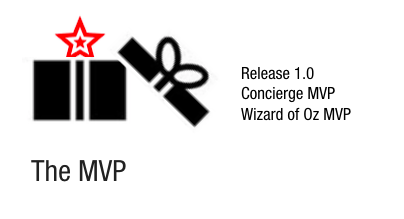 Only if your offer is validated, do you give yourself permission to build out a MVP using one of the MVP archetypes: Release 1.0, Concierge, Wizard of Oz.